With just four games on the Sunday in the NBA, it was a relatively quiet end to the week, but there was still some great excitement and action on offer in these four games. There were three away wins in the four games, with the New York Knicks being the only home side that managed to triumph, defeating the Nuggets by a score of 109-93. The game between the Thunder and the Rockets was a low scoring affair, with both defences being on top form. In the end, the Rockets grabbed a big win, defeating Oklahoma City by a score of 65-69. The Heat were another losing team, with the Bucks coming to Miami and grabbing a 84-91 victory. There was no real surprise in Los Angeles, as the Lakers were trounced by the Golden State Warriors. It was likely that the Warriors were going to grab a double digit victory over the Lakers and the final score of 115-136 was a realistic review of the match. The Mavericks have a 7-3 record and they are coming into this match on the back of an excellent 131-117 win over Minnesota on Saturday. This was the most points Dallas had grabbed in a game since 2009, so clearly they are on a high, even though they have looked stronger at home than they have done on the road this campaign. The Dallas Mavericks continue to be an offensive juggernaut, though they’ve been significantly better at home than on the road. Monta Ellis grabbed 30 points in that game on Saturday but when you had 8 players on double digits for points, you know that you are doing well. The Hornets slumped to a defeat on Saturday against the Warriors, and it was a heavy defeat, 112-87. The team had won on the road in Phoenix the night before, so perhaps it was asking for too much to get two wins on the road in two nights, but they will be keen to bounce back at home on Monday evening. One thing that may limit the Hornets is the fact that they have a number of injuries. Players like Marvin Williams, Lance Stephenson and Kemba Walker all played through injuries against the Golden State Warriors while Michael Kidd-Gilchrist and Gary Neal are doubts for this game as well. For Dallas, only Raymond Felton is likely to be absent. This is going to be a close one but the Mavericks at -2.5 with odds of 1.90 are quite enticing, and will likely be a bet that goes to the buzzer. Bet Now! The Cavs had just suffered back to back defeats before they took on the Nuggets just over a week ago, and since then, things have been going well for LeBron and the rest of the team. In fact, if the Cavs beat the Nuggets on Monday night, they will grab their fifth win in a row. The Cavs were in great form when they dismantled the Hawks by 127-94 on Saturday and there may just be a sign of consistency coming to Cleveland right now. This means they will be looking to take care of Denver as quickly as they can, but the Cavs have some more important games looming. As you would expect, LeBron James was the main man for the Saturday night win, grabbing 32 points and it was definitely the best overall team performance of the campaign so far for the Cavs. When the Cavs beat the Nuggets back on the 7th of November, James grabbed 22 points and 11 assists in the 101-110 win. There were also six other Cavs players in double figures that night, so it is not as if James was doing it all by himself, but no doubt he is a leader on the court. Denver had suffered 6 defeats in a row until the defeated the Pacers 108-87 on Friday night but any hopes of a turnaround in their fortunes were undone when they lost to the Knicks 109-93. The Knicks defeat saw the team stifled with Arron Afflalo grabbing 18 points while Ty Lawson offered up 17 points. 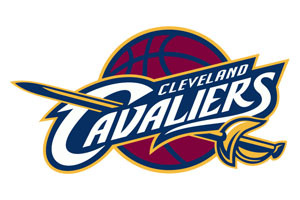 With the Cavs firing at the moment, odds of 1.90 with them at –11.5 is likely to be of interest. Bet Now! The reigning NBA champions would be hoping for a better record than 5-4 at this point in time, but compared to their opponents, the Spurs are showing fantastic form. This is because the 76ers are currently sitting with a 0-9 record, 0-5 away from home, and you don’t expect this to get any better in San Antonio. Even though San Antonio are coming into this game after a loss on Saturday away to the Kings, and on the back of a four game road trip, the Spurs should have more than enough in their locker to dispose of the 76ers. There may be a few changes in the line-up of the champions, which could help the 76ers but there is no getting away from the fact that anything other than a solid home win will be deemed to be a bit of a shock. 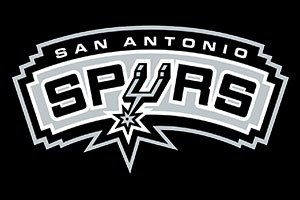 Manu Ginobili was in fine form in the loss on Saturday, grabbing 21 points, which was a season high. While the defeat was annoying, head coach Gregg Popovich believes it was just down to tiredness, which is fuelling the thought that the Spurs may be rotated for this match. Knowing that a match against the Cavaliers lies in wait for Wednesday will also be in the back of their mind. Of course, the 76ers are desperate for any sort of win, and it will be interesting to see how they respond to their 88-87 defeat in Houston on Friday. Getting so close to a win may be enough of a spur to boost their spirits, or it may act as a crushing blow after having come so close to a win but then just missing out. The 76ers were in the lead with 17 seconds to go and then Michael Carter-Williams missed with a final shot. Given that they had lost by 53 points in Dallas, it was a big effort by the 76ers but ultimately one that ended in disappointment. It is a lopsided match where the spread bet is crucial and the odds of 1.90 for the 76ers at +15.5 may be just thing you need to get your Monday off to a good start with respect to basketball betting. Bet Now! 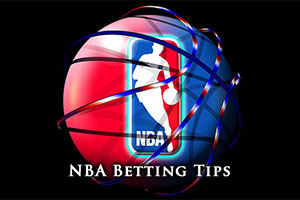 Don’t forget to also have a look at our free pick of the day featuring the Chicago Bulls visiting the Clippers in Los Angeles.